The Honda Prelude has been a popular platform amongst import tuners for years. Its sporty styling and advanced four cylinder engine make it an ideal platform for modifying. The Prelude is fun to drive in stock form but the factory exhaust system can leave much to be desired in terms of sound and performance. Megan Racing???? ?_s exhaust headers offer a solution to both of these problems. Megan Racing???? ?_s headers increase both horsepower and torque for the driving enthusiast. 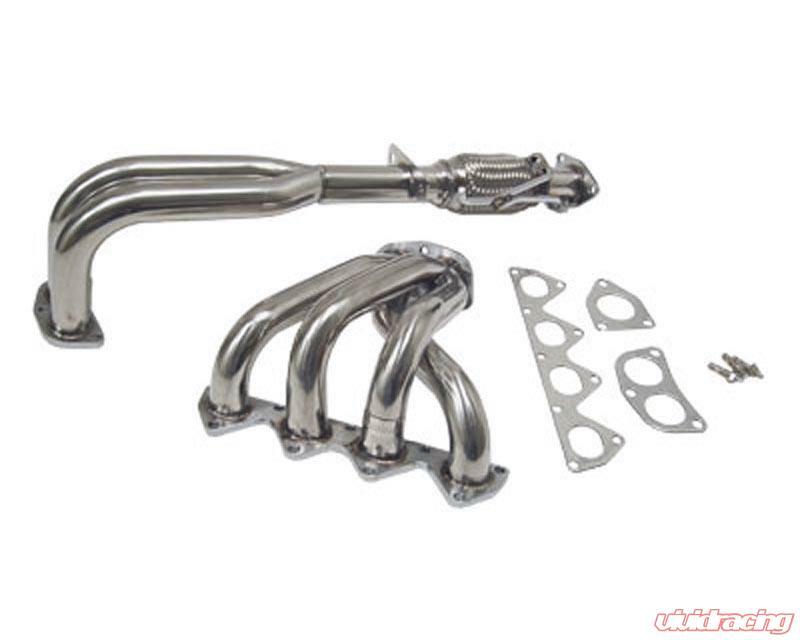 The factory exhaust manifold is not made with optimal performance in mind. The increased exhaust flow will give your Prelude a more aggressive tone that will set you apart from the pack. Their direct bolt-on design ensures a factory like fit and easy installation.